When I was a child, I would read non-stop. I just loved the idea of taking this little adventure in my mind, envisioning what the characters looked like, and getting fully wrapped up in a book. But all of that stopped after elementary school. Suddenly, I was forced to read books that I just didn't want to. There were endless discussions about "classic" books like The Catcher in the Rye or the The Grapes of Wrath and NONE of it interested me. Cliff Notes became my new reading material....and subsequently, I just stopped reading books altogether. I think I might still be on page 17 of The Catcher in the Rye . Now, as an adult, I am a spotty reader at best. There is literally no need for me to buy a Kindle, as it will be a waste of money. Every once in a while I will pick up a book and read....but usually, the computer/blogs/web articles is my main source of reading. As a teacher, though, I really see the value in reading for my students. I tell them all.the.time that they won't get better at writing, or vocabulary, or social studies, or science, or ANYTHING if they don't read. But then what do I do in my classroom? Not read. I have noticed it for years. We read maybe 15 minutes a day. Yep. 15 minutes. I mean, there is a lot of directions reading, choral reading, kids taking turns and then we discuss the reading, read alouds by me, and A LOT of writing, but we don't actually take much time out for the kids to read on their own. So if I were to look at my individual students, some of them probably spend *maybe* a total of 5 minutes actively reading on their own without someone else intervening in on it. Maybe. I am half way through right now and I can already tell you that my mind is racing. This is really going along with everything that I already know about school success. It all boils down to reading. As Dr. Seuss put it (in my most favorite book ever) "The more that you read, the more things you will know. The more that you learn, the more places you’ll go." As a teacher though, I really am torn all the time with my pacing plan and "getting it all in." I can honestly tell you that at times, when students finished their work and they took out a book to read, I would think, "What else could they be doing??" Yeah. Not very Book Whisperish of me. It just seems like there are so many things to learn and do and reading always seems to be not high on that list of priorities. But Donalyn Miller is right. The kids need to be reading. The need to WANT to read. They need to become readers. And that starts with me. Have you read this book? What are your thoughts? 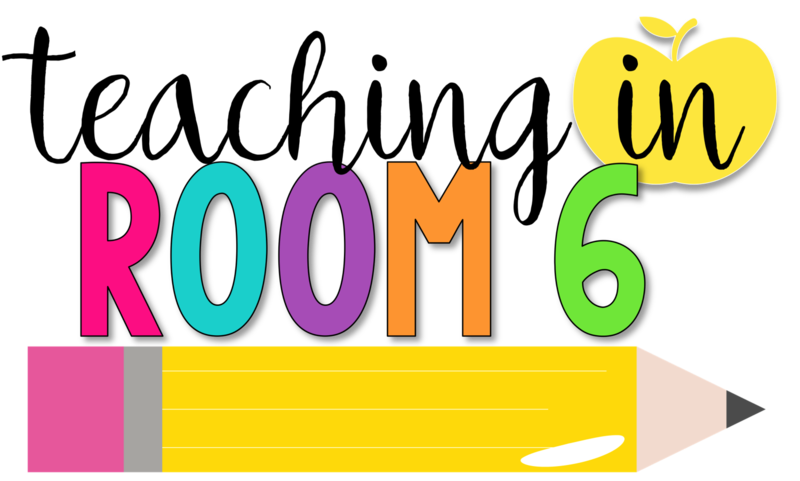 For those of you who have already implemented some Book Whisperer stuff in your room, how did it change your teaching? Any tips, hints, stories to tell???? Donalyn MIller is my hero! She made me feel like I had "permission" to give my kids choice. I am so glad, I am in a school with that freedom! I also challenge my kids to the book-a-day challenge. I provide a lot of in class reading time and I mean choice reading time. I literally have to pry books out of kids hands and that is how I want it to be. Choice is where it is at. Now that does not mean that I don't have them write about what they read etc. 3 days out of the week students do responses to what they read during choice time. Sometimes they self grade their response and sometimes I grade it and sometimes it is not graded at all-it is shared with a partner. One day out of the week I allow them to read their comics and hockey magazines and American Girl Doll magazines. They LOVE that day. I LOVE the books Strategies that Work by Stephanie Harvey and Notebook Connections by Aimee Buckner. They have helped me to understand teaching reading better. I work to have my students become very deep readers and thinkers. I teach them strategies to use with any book. We keep reading notebooks and do a lot of book club work. I usually have 5-6 different leveled books going in my room at any given time. Each book can have about the same work required for their book club meetings. I teach my kids how to discuss books with one another, and I mean discuss the good stuff-not vocabulary words :) We talk a lot of adult book clubs and I share my experiences with them. So...this was a lot of rambling, but I encourage you to allow yourself to schedule SSR in your room. If you don't schedule it, it will never happen. I loved this book! I read it last summer and it totally transformed my reading class. I completely changed the way I teach reading to give my students choice. I thankfully had a principal who was willing to let me throw out the reader and teach the skills using a Reading Workshop model. I focus on one reading strategy/skill a week and use a read aloud or picture books during my minilesson to illustrate the skill. Then the students practice the skill in their own personal choice book. I meet with each child once a week-while the kids are reading (about 30-40 min a day) I am conferencing with kids one-on-one about their book. They tell me about their book and how they are applying the skills we have learned. Then on Fridays they write me a letter in their writing notebook showing me how they applied the skill. I second both of the books Mackenzie suggested. Notebook Connections and Strategies that Work really helped me to create my minilessons so I knew I was teaching everything I needed to cover. I'd be happy to tell you more-there are a few posts about it on my blog if you want to check them out too. I am currently also reading The Book Whisperer. I just started, I'm on Chapter 4 but I am experiencing the same takeaways. This book has validated me in so many ways. I love it. I read this gem at Christmas ans it changed my whole idea of teaching reading. Your description of yourself as a reader was/is me to a tee! I love this book. It was my favorite read from last summer. When my kids are finished with something early, I don't provide them with things to do. Instead, it's always time to grab a book. Donalyn made me feel like things like that are exactly what I should be doing. I'm sure you'll love the rest of the book as much as the first! I also have the book and I am planning on picking it up and reading it this summer. 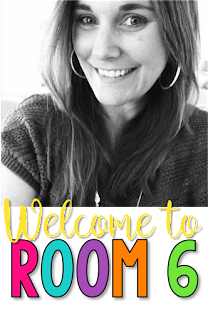 I am going to be following "We Blog, We Read, We Teach" as she does a book study on it. Would love to have you join it and blog with us all. Like you all above, I think I am going to be moving towards a workshop approach. Off to order the two books mentioned...I need all the help I can get! 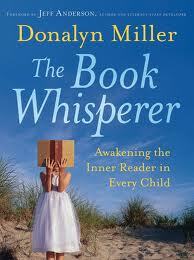 I read The Book Whisperer a few years ago, and LOVED it!!! I too realized I needed to make sure I was giving my students a block of time to just read! I also realized that I needed to show my students how to take advantage of all those little blocks of time to read. We talk about reading in the car, the doctor's office, etc. so we take books with us whenever we might have to wait at school like picture day, shopping at school store, etc. What a great book to inspire us as readers and teachers of readers!! LOVE The Book Whisper!! It made me feel like it was okay to teach English the way I thought it should be done. I didn't have to do it the way everyone else was teaching it. My students definitely benefited from it. I had students tell me at the end of the year say that they read more in 7th grade (my class) than they ever had before. Made me teacher heart burst with joy. I've just started reading this book, too. I am loving it. There is a book study that starts on June 14th on We Read, We Blog, We Teach blog... www.wereadweblogweteach.com ... Love your blog. I know! I am excited to see what everyone else has to say about it! I have enjoyed that book as well and saw her speak at the National Writing Project Conference in Orlando. I plan to see her again this fall at NERA in Portland, Maine. You must now order her newest book: Reading in the Wild. Little factoid she shared: Before finding the Writing Project, she almost quit teaching and...she considers herself a struggling writer!! I love this book, too. I also read Nancy Atwell's, The Reading Zone. My students would ask me, "can we get in the "zone" today?" Their favorite day of the week was when I would give them 40 minutes, uninterrupted, to "get in the zone" and read. Instead of reading responses, the students write weekly letters and share their reading with their classmates through book talks. You have inspired me, I'm going to re-read The Book Whisperer! "Not very book whisperish of me." hehehe love that! I do the same exact thing. We are so trained to make our students go go go. Every single second they need to be challenging themselves and in curriculum. I am inspired to check out this book. Wow! I read this book last year, and loved it so much that I bought it. Planned to really implement it this year, but got sidetracked with other areas to work on during the year. Pulled it out to reread again and was planning to brainstorm how to really get in the significant amounts of silent reading that kids need next year. I realized, like you, that my students have very little time to read on their own. Yes, there are the monthly book reports, and reading is always the "May Do" after "Must Do", but they really need much more. How exciting to see that one of my favorite teacher bloggers is planning to be implementing the same mindset!! Can't wait to read about this over the next year! I'm doing the 40 book challenge for sure...haven't planned in other respects yet. I am trying to wrap my head around Reader's Workshop right now. I have NO experience with it at all!! I have to get some more teacher books on that one for sure. I feel the exact same way as you do about reading! I remember loving it in elementary school, and then with being forced to read books I hated in middle and high school, I lost my love for reading. With the possibility of switching to teaching reading next year, I am going to put this on my must read list! Thanks for putting this book on my radar!! I've been looking for some professional reading to do this summer and I think this might be it. I have to get back into the "Language Arts Groove" after a year of teaching a computer elective. Another teacher and I are holding a twitter chat on Notice and Note by Kylene Beers-you would love this one, too. It provides signposts for kids to look for as they are reading, and they are so practical!! Our 2nd chat is tomorrow night at 8pm CST-#NNNchat-if you're interested. Life-changing book and I whole-heartily agree with every word you said! :) Great book! I use a reading workshop format in my 4th grade classroom. This allows me to focus on a strategy, conference with students individually, and have students read independently while focusing on the strategy. I am a huge believer in the kids having choice and differentiation in instruction. This format helps me do this. This past year I challenged my kids to read 25 books through the year. All my kids met this challenge, and most surpassed it. I implemented independent reading time every day, even if it was only for 15 minutes. The minute the kids walked in the door in the morning, they put their things away, and then immediately got to work reading independently. It was a great way to start the day - got them focused and set for the day ahead. Then during our reading block - which differed in amounts of time daily, they had more reading time. We haven't gotten our test scores back, but what I saw in the reading behavior of my kids was huge. They really LOVED that reading time, were very upset if something happened and we had to skip it, and fed off each other with book talks - the enthusiasm for a book spread easily and they began to read books based on classmate's recommendation. Many would check my book ring, too. It was great. I am a voracious reader, and they loved seeing their teacher read the same books they were reading. It encouraged LOTS of book talk in the classroom. Now I am going to go out and get this book. I can't wait to read it. I have used Reading & Writing workshop in the past and really want to return to that way to teaching. How can kids learn to read when they so rarely read what interests them? Two books that I suggest, if you are interested in Reading/Writing Workshop, are Guiding Readers and Writers by Irene Fountas and The Art of Teaching Reading by Lucy Calkins (there is also The Art of Teaching Writing). I can't wait to see hear about how your students grow as readers. I read the Book Whisperer last summer and couldn't put it down. I implemented a ton of stuff from her book last year. "Making" my kids read across the genres, the "book look" activity, etc. So many good ideas. I started the year with a lot of the changes, but some I introduced over the course of the year. I definitely plan to skim the book again this summer to remind myself of all the great ideas I need to do again or didn't do yet. Great book! As many of the above have stated, I too am just starting to read this book. I am not as far as most of you. I am on chapter 2. I started it then had a two day class as well as finishing an independent study. You have reminded me to get back to it. I started using the Daily 5 model in fifth grade last year (used it in Kindergarten prior) and see how the suggestions in the book are a perfect fit for my classroom structure. The comments about how it frees us to allow our students to just read is so needed. Our principal strongly suggested even bought several copies for summer reading for us. I bought my own because I like to highlight and write thoughts. I look forward to seeing/reading what you and others are doing with it. THANKS! Welcome to Summer! I've done this for 2 years now and it is amazing! My first year one of my students read over 200 books. This year as a class we almost read 1000 books. It is so powerful! Especially since they do not receive anything but the love of reading. I do give our certificates at our school assembly. Oh I even have students walk down the halls to their specialists, reading their books! All the other teachers would just stop and gawk at my students. I implemented a Book Whisperer program/philosophy into my 7th grade Englsih class this year and I can tell you that it has completely changed the way I will teach forever. I don't think I can ever go back to my "old way" of teaching ever again, because the rewards I saw for my students were so great. Only had about 30 out of 100 students make it to 40 books, but I can tell you that every one of them told me that they read way more books than they ever had before or would have if I had done something different, and there were so many "book haters" that came to me hating reading that left me as life-long readers. I couldn't keep books out of their hands! I loved the book and started some of the ideas in my class immediately. I am waiting to receive her book "Reading in the Wild" which shows how to implement the reading culture in class. Can't wait for more!! !